Josie's not the only one captivated by the snowy day. 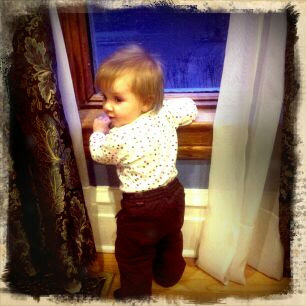 Bea is having a blast playing with the frosty window. Love her little fingerprints on the glass.